Canada's economic recovery cannot afford to be disrupted by an "unnecessary" election, Prime Minister Stephen Harper said after announcing a minor cabinet shuffle. Prime Minister Stephen Harper addresses reporters outside Rideau Hall on Friday in Ottawa. Harper selected former Transport Minister John Baird to replace the retiring Jay Hill as government House leader on Friday, saying the Ontario MP has a "clear mandate" to continue to implement the Conservative's economic recovery plan. Indian Affairs Minister Chuck Strahl takes over Baird's portfolio at Transport, while B.C. MP John Duncan, who was Strahl's parliamentary secretary at Indian and Northern Affairs, is promoted to take over from Strahl. The three ministers were sworn in by Gov. Gen. Michaëlle Jean at a ceremony Friday morning at Rideau Hall in Ottawa. Speaking to reporters outside Rideau Hall after the ceremony, the prime minister said the global economic recovery remains fragile and is the "No. 1 priority for Canadians." 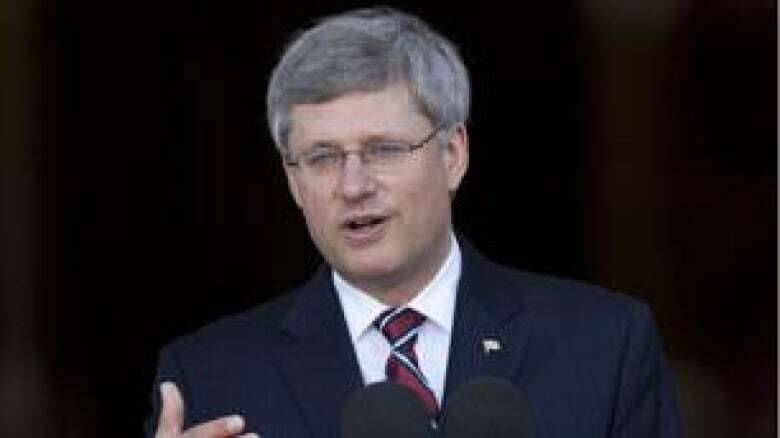 "Time is needed to carry out our economic plan," Harper said. "Canada cannot allow a break in its economic recovery plan with an unnecessary election." The comments come as a new Ekos poll suggests the Conservatives' lead over the Liberals among potential voters appears to have dried up, with both parties virtually tied at the same level of support. The appointment of Baird, a very experienced parliamentarian who served as a provincial house leader in the Ontario legislature, sends a signal to opposition parties who will have to work with him on procedural matters, the CBC's Rosemary Barton said. Baird, who responds for the government when Harper is away from question period, is well-liked by MPs of all stripes, but is also viewed by many as the prime minister's "attack dog," Barton said. "It's what he's known for; it's what he's good at," Barton said Friday. "If there's anyone who could spark some kind of showdown, it's John Baird." NDP Leader Jack Layton said Baird's appointment "doesn't exactly send waves of confidence that there's going to be co-operation." Layton, in an interview with CBC News in Toronto, acknowledged Baird worked with other parties on the federal Accountability Act in 2006, but has since become the "go-to guy when it comes to hurling abuse at the opposition." "So when Mr. Harper says he doesn't want an election, he's got a funny way of showing it," Layton said. Liberal House Leader Ralph Goodale said Baird called him on Friday morning and indicated he wants to build a good relationship. "It all depends on which John Baird is going to show up," Goodale told CBC News in an interview from Regina. "Sometimes he can be a pretty rough-and-tumble, over-the-top partisan. On other days, a little calmer." Asked in French on Friday what he thinks about his adversaries seeing him as a pit bull, Baird replied: "Je suis un pussycat." 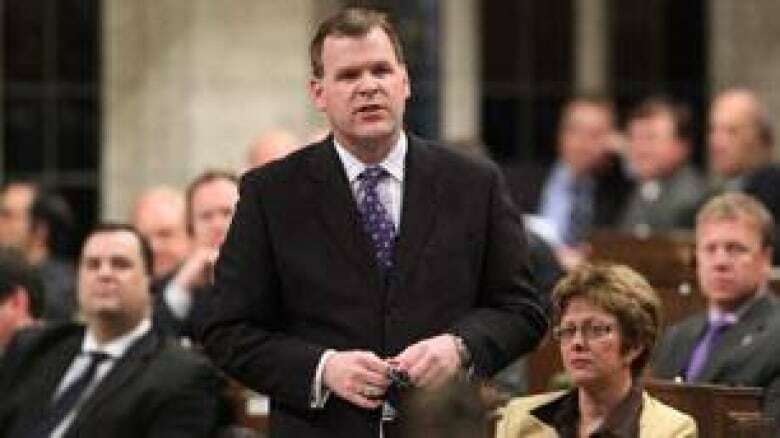 But sources within the Prime Minister's Office told CBC News that Baird was selected because he has consistently filled "critical" roles for the government in the past. Goodale also said having an election is "not our priority at the moment," saying the prime minister likes to threaten elections when he thinks it's to his advantage. "Answering the issues that matter to Canadians, that's our priority, and presenting Canadians with a credible alternative when the time for an election eventually comes," he said. Harper last shuffled his cabinet in January, a move that was described by the PMO at the time as "fine-tuning" as none of the major portfolios was reassigned. Hill, the veteran MP for the British Columbia riding of Prince George-Peace River, announced this summer he will not seek re-election in the next federal vote. He was first elected as an MP in 1993 for the now-defunct Reform Party. There was speculation Manitoba MP Shelly Glover, currently parliamentary secretary for official languages, would take over the role of minister of state for the status of women from Public Works Minister Rona Ambrose. But Glover remains out of cabinet. Ambrose took over that role following the resignation of Helena Guergis, who was booted out of caucus in April after the prime minister said he learned of "serious" allegations about her conduct. Guergis, who still sits as MP for the central Ontario riding of Simcoe-Grey, has been cleared of any wrongdoing by the RCMP, but has not been invited back into the Conservative caucus. She said she plans to fight the party's decision to replace her as the official Conservative candidate in her riding.